Land is the root of rural revitalization, and its core is to reinvigorate land resources through the building up of land capacity. Since the late 1990s, land consolidation efforts have been widely extended to all parts of China. Land consolidation has served as an essential instrument for reinvigorating stock land, strengthening intensive land use, timely supplementing cultivated land, and promoting agricultural modernization, as well as urban-rural integration. 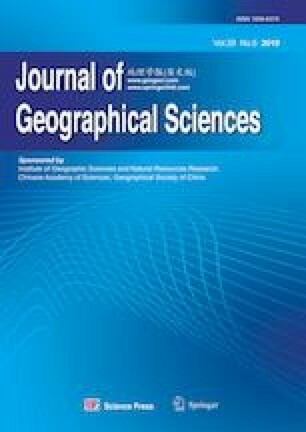 This study uses a typical poor village (Dadao Village) in a state-designated impoverished county (Fuping County, Hebei Province), to analyze the socioeconomic benefits and eco-environmental impacts of land consolidation. With the aid of first-hand data from questionnaire surveys, face-to-face interviews and the visual interpretation of land use and land cover changes (LUCC), we found that: 1) the barren hilly land consolidation (BHLC) helps to promote the transformation of resource-advantages into asset-advantages in poverty-stricken areas. In 2017, 60.16% households in the study area gained the additional transferred-income with an annual average of 2843 yuan, while 19.11% households received the wage-income with an annual average of 9871 yuan. 2) Land consolidation inspires farmers’ enthusiasm to participate in village government and helps alleviate rural poverty. From 2014 to 2017, land consolidation has helped 585 poor in the village out of poverty. Meanwhile, by land consolidation, most farmers’ attitudes towards land consolidation have shifted from “not caring” to “have great concern,” and their identity cognition has gradually changed from being bystanders to becoming decision makers and supervisors. 3) Further analysis demonstrated that land consolidation could not only increase the quantity and quality of arable land, but also have a certain impact on eco-environment. During 2014–2016, the BHLC in the study area transformed 242.12 ha unused barren hilly land and open forest land into well-facilitated arable land, and increased the average arable land by 0.19 ha per capita. Also, the index of land use intensity increased by 27.01% between 2014 and 2016. Farmers’ perceptions of environmental awareness have confirmed that such high-intensity LUCC were significant enough to make two-side impacts on eco-environment. We appeal to establish a combined organization and encouragement mechanism of rural land consolidation, to take the full breadth and depth of farmers’ participation into consideration, and to formulate more scientific and sustainable land consolidation planning. Also, we put forward some suggestions and notes for the implementation and promotion of BHLC model. These findings can provide beneficial references for those involved in policymaking and planning in the areas of land consolidation and poverty alleviation in China, as well as other developing countries around the world.